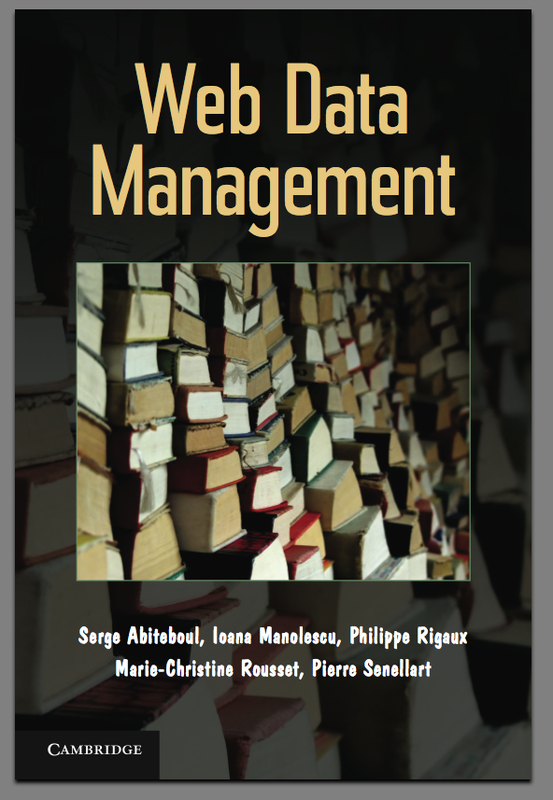 The page proposes links to the class material associated to the book Web Data Management, published by Cambdrige University Press in 2011. You may take one copy of the book draft for personal use but not for distribution. Please do not post the draft on other web sites, instead, please put a link to this site. Access to the full HTML version of the draft book. and to the full PDF version. Putting into Practice - Wrappers and Data Extraction with XSLT (chapter). See also an additional chapter on XSLT, and the corresponding slides (slides XSLT, slides advanced XSLT). Copyright @2011 by Serge Abiteboul, Ioana Manolescu, Philippe Rigaux, Marie-Christine Rousset, Pierre Senellart; Published by Cambridge University Press 2011. For personal use only, not for distribution.